Chandigarh is a name that often pops up in the realm of tourism in India. It is one of the top tourist hot spots in India and the city does not disappoint in any way! Not only is the city known for giving an exemplary experience into the culture and lifestyle of North Indians, the city also plays home to some of the finest gardens and parks in the country. Chandigarh is simply not known as the best planned city in the country for no reason. The city has the best design with regards to the layout of the city and is easily one of the cleanest cities in the country. It also opens to us, the rich lifestyle of the Punjabis and the North Indian culture. Chandigarh is easily accessible from any major cities in the country. Chandigarh to Mumbai flights are a huge demand and one of the busiest flights from the city’s airport as Delhi can be easily approached by road. The reason why Chandigarh is so popular, apart from giving you a great cultural experience of the region, is that, the city has a great layout with enough provisions of both modern buildings and multiple parks and gardens. These various parks and gardens make up of some of the most unique kinds found in the country. Mentioned below are some of the top ones. 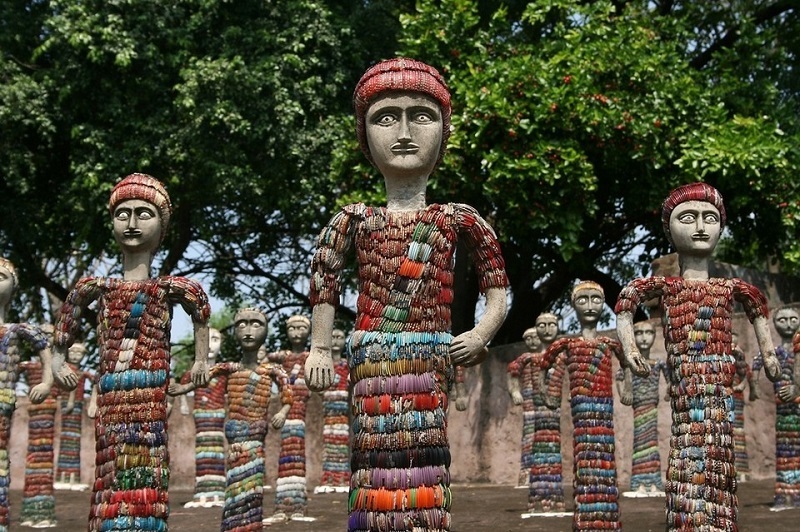 One the main tourist attractions in the city, the Nek Chand Rock Garden in Chandigarh, named after its founder Nek Chand, is a garden, unlike the ones you have seen anywhere in the country. Sure, it has its greeneries and small park area where children can play, but this park is more than that. More than its greeneries, this park is known for its unique sculptures. These sculptures are spread all over the garden which is marked with beautiful walking paths, waterfalls, steps and beautiful courtyards. It feels as if you have entered a fantasy kingdom from one of the Disney movies. The best part about this place is that the sculptures, which are the main attraction to this garden, are all made up of scraps! Everything from bits and pieces of glass, bottles, ceramic pots, tiles, and various kitchen or household broken items are used to form the beautiful sculptures. When a city is called the ‘City of Gardens’, you can expect a whole bunch of beautiful gardens in all parts of the city, and Chandigarh delivers just that! 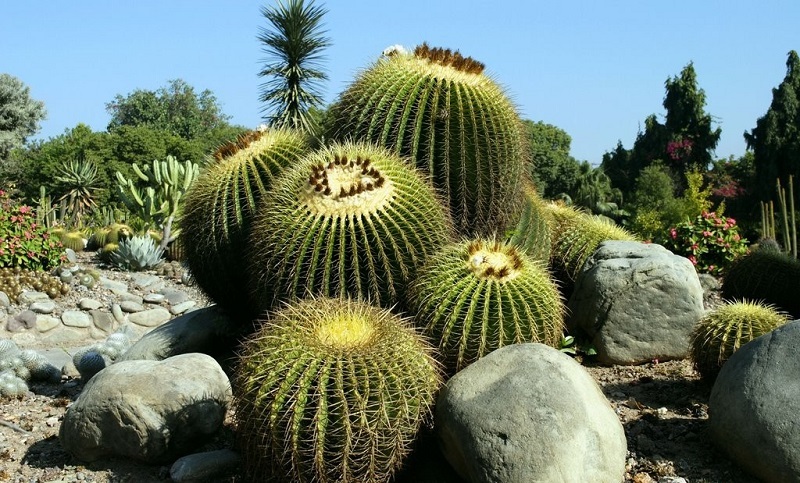 The Chandigarh Botanical Gardens stretches over a total of 88 acres of land, some part in the previously talked about Rock gardens and the most part of the area of the Sukhna lake around Sector 1. One of the most beautiful features of this garden is the small pool where beautiful lilies can be found in full bloom and leaves a tranquil air all around the place. There is a vast variety of plants and flowers you can find in this garden. Popularly known as the Zakir Gulab Bagh by the locals, this popular rose garden is spread over a massive land area of 27 acres and yes you guessed it right, the whole area is spread with blooming roses! With over 1600 types of roses which include the normal ones you see and the hybrid versions, the Zakir Hussain Rose Garden is one of the most unique and beautiful places to visit in Chandigarh. The popular ‘Rose festival’ is held here every year which attracts people from all over. If you are looking for the perfect season to visit this garden specifically, then the time around February and March is the best time to visit as the whole garden blooms with colourful fresh and fragrant roses. Sprawling in an area of over 10 acres located in the area of Sector 33 in the city, the Terraced Flower Garden is the main venue for the grand Chrysanthemum festival (Chrysanthemum is a beautiful flower). You can walk around and discover the different varieties of beautiful flowers and admire the main attraction to the garden, which is the musical fountain which moves and dances to the beats of popular Bollywood songs and sometimes some local folk music. So there you have it, four unique and different gardens you can find only in Chandigarh! Regardless of your purpose of visit to this city, these are the places you cannot miss to visit.